Hockey, whether it is ice hockey or regulation hockey is a fast, fun and exciting game to watch! Do you have a hockey player on your holiday list? If you live in Canada there is bound to be a hockey player on your list. If you’re in the United States or Europe you are bound to have a hockey enthusiast on your Christmas gift list. 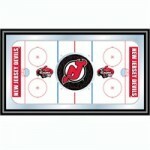 Lost in the aisles of your favorite sports store trying to figure out the best items to give that hockey fan? Here are some great gift ideas sure to please the player or the fan. Consider anyone of these gift ideas for the hockey player that would make welcome Christmas presents! Hockey gear is where it’s at as far as presents for the player are concerned. The Alkali roller hockey skate is the top-of-the-line skate for hockey players. With its Lithium construction and advanced EPP foam and Surlyn quarters and carbon fiber outsole, this skate was designed for excellence. For the ice hockey player, the Bauer Vapor APX Ice Hockey Skates are the lightest weight Vapor skate made and constructed for the performance driven skater. Also from Bauer is the Vapor APX shaft, featuring Bauer’s own Intelli-sense shot technology for the best shot performance to deliver the perfect shot each and every time. Its lightweight construction terrifically increases the strength while decreasing the weight and caters to tapered blades. Completing the hockey stick ensemble is the premier Vapor APX composite blade. This blade features the same patented lightweight construction as in the Bauer shaft, and is a popular choice for those players who prefer the two-piece sticks. Hockey memorabilia abounds for the hockey fan! Ranging in size and scope from the autographed hockey stick, to the autographed puck, autographed gloves, autographed jerseys, and anything else you can stick an autograph on, there is a wide selection of hockey gifts available as presents or terrific stocking stuffers. For the die-hard hockey fan, there are tailgating coolers as well! These coolers are completely insulated with smooth-rolling in-line wheels and a zipper storage compartment, and can hold up to thirty-six 12-ounce cans, plus ice! The team favorite jersey makes a great gift, and with a little research you can even find matching socks, and boxer shorts! For the female hockey player (ladies hockey has gained in popularity over the past several years) there is even hockey jewelry, such as necklaces, charm bracelets and leather bracelets and dog tags.